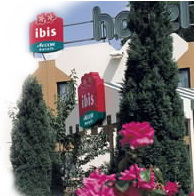 The Ibis Qingdao hotel is located 76 km from the airport and 5 min by car from Qingdao ferry terminal. Qingdao, a well-known seaside resort, the origin of the famous Chinese beer Tsingdao, lies on the southern tip of the Shandong peninsula, with theYellow Sea on one side and Jiaozhou Bay on the other. Ideal for weekends and tourist stays, the hotel has 171 air-conditioned rooms, a snack bar open 24/24, outdoor closed parking and 1 meeting room.